Casseroles and Bakes are one-dish meals, which have an exotic touch, perfect to have on special occasions or to serve at parties. They are also quite filling. While a Bake is a one-dish meal cooked in the oven, Casseroles are those that are slow-cooked in the oven. There is a large variety of baked dishes, ranging from sumptuous ones having spaghetti or rice in them, to those like Au Gratin or Vegetable Bake, which can be served with toast. 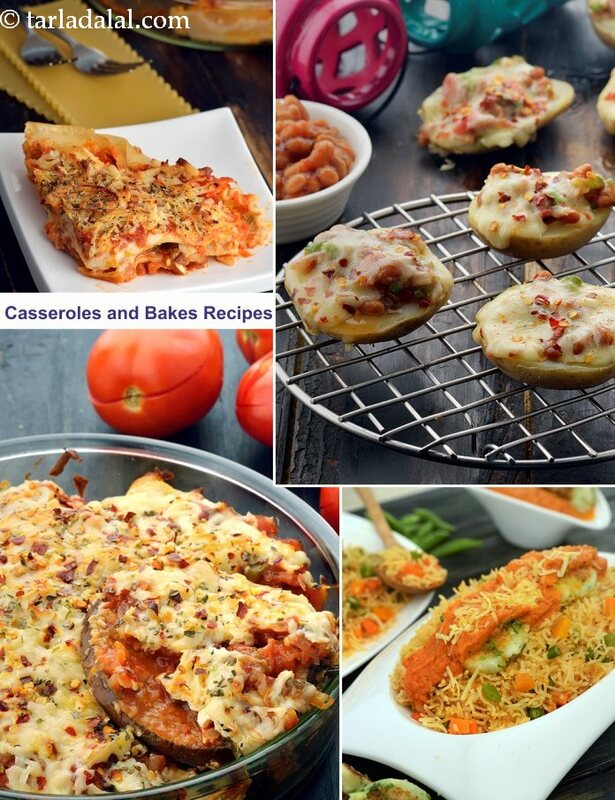 Have a go at one-dish meals like Baked Spaghetti in Tomato Sauce , Baked Mexican Rice with Cheese Patties , Baked Kidney Beans with Alfredo Sauce , Baked Vegetables in Spinach Sauce , etc., and explore more such recipes in this section.